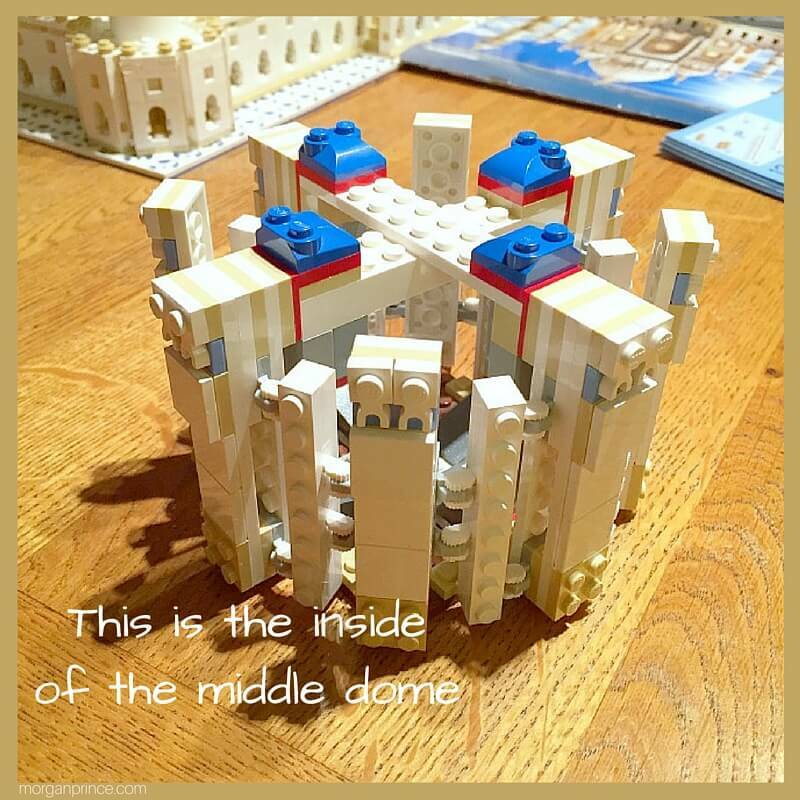 I have always loved lego, as a child I had a small collection of pieces but never had a proper set. 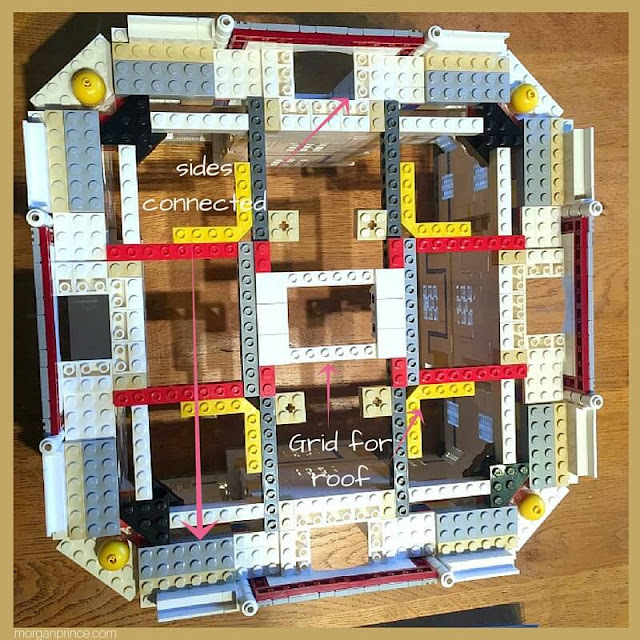 When we had our boys, BP and LP, I was excited because it meant I'd get to buy (and play with) lots of lego. The Hubby and I have been collecting Lego sets for a few years now and it's fair to say we've got quite a collection. We're even struggling to find the space for it. 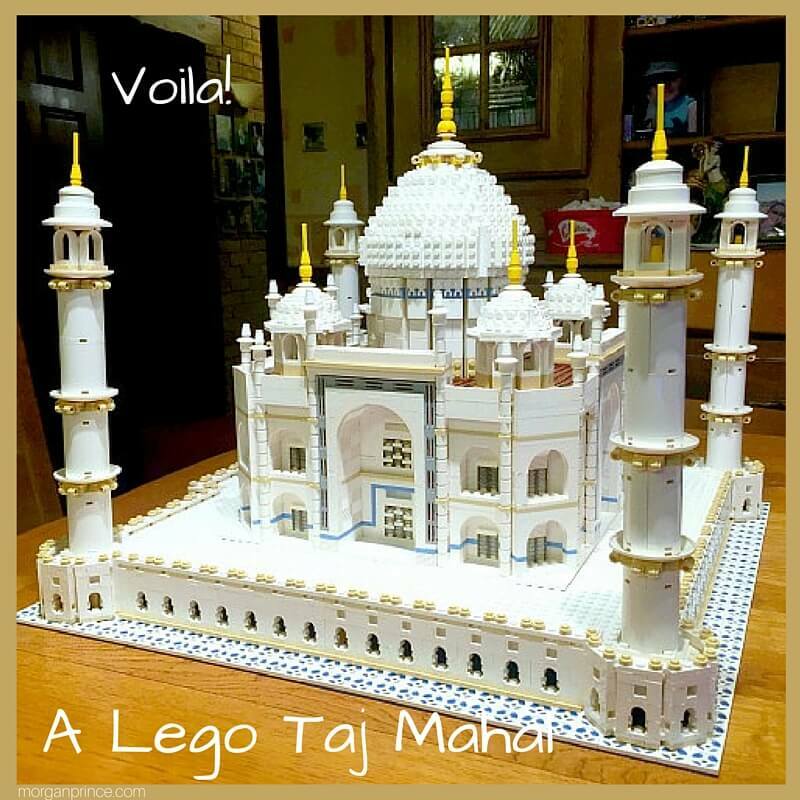 One of our favourite sets is the Lego Taj Mahal which we've had for years. Every so often we'll pull it out and begin building. This time when we did I decided to take photos during the building process. 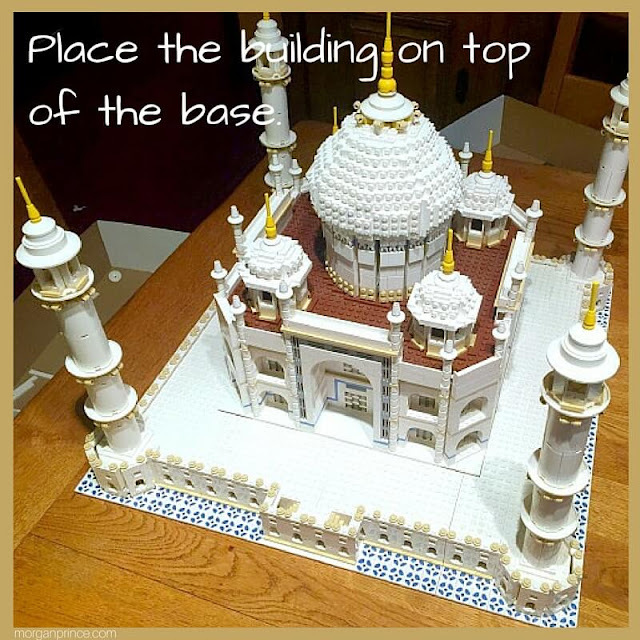 As with everything it all starts with the base, except with the Taj Mahal it's not one whole base piece. 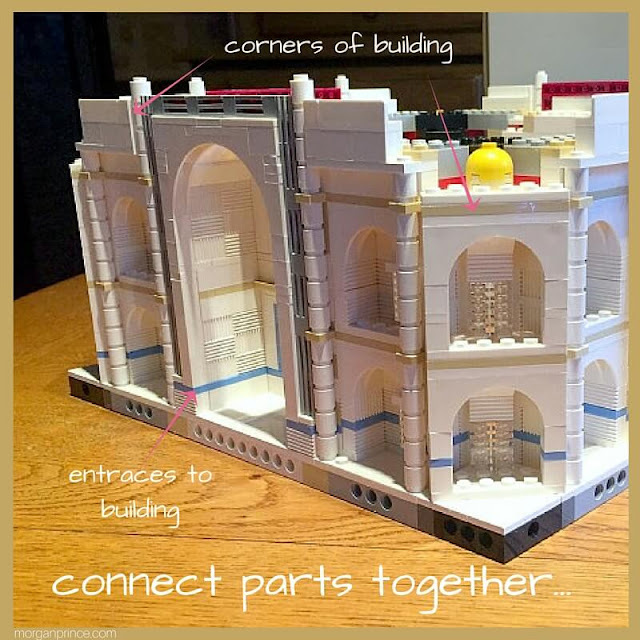 The base is split into separate pieces that connect together at a later stage. 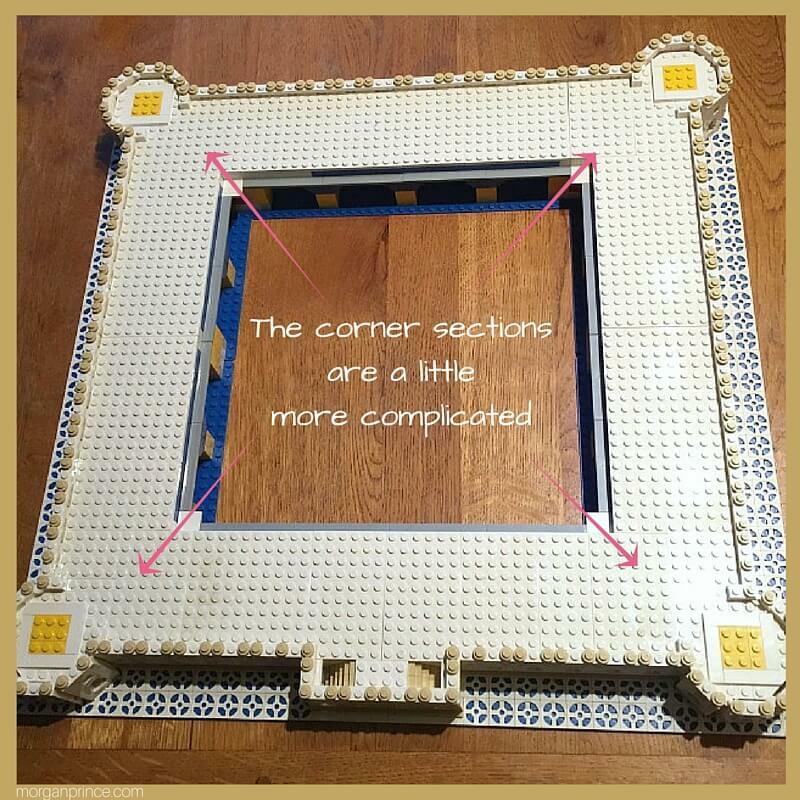 After you've built four of the above sections you need to build the four corners. All of these sections use the smallest pieces and are very fiddly to build. 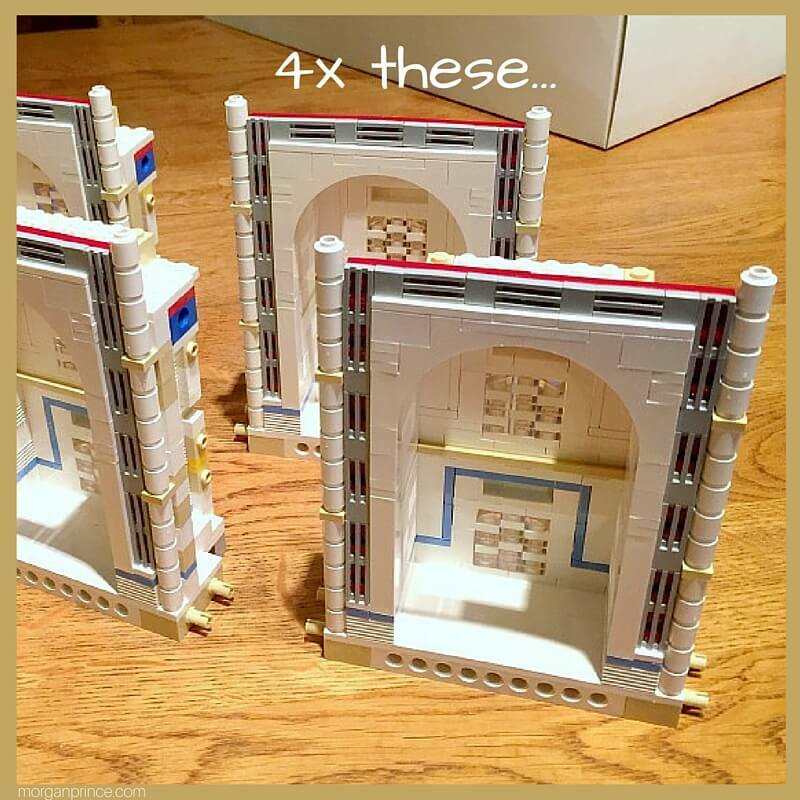 When a set asks us to build two/four of a particular section the Hubby will build one/two and I will build one/two. Doing it this way means we'll be finished with that particular section quicker, it also means that we can both build. 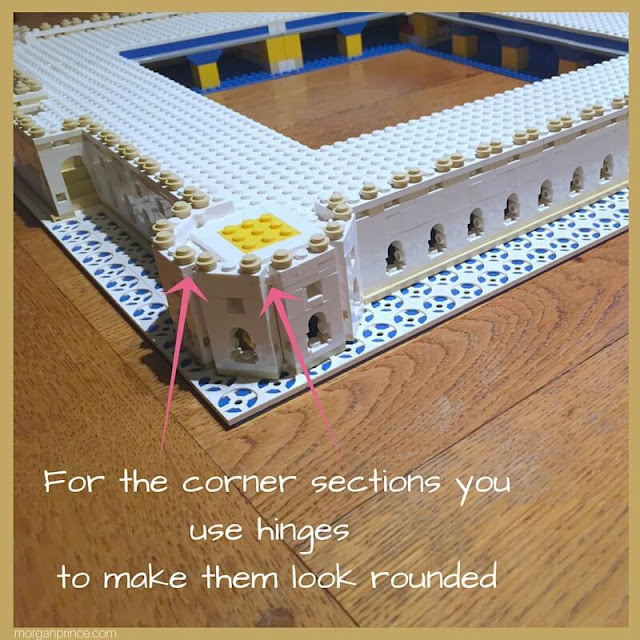 The corners incorporate the rounded sections as you can see in the photo below. Next came the towers and I have to admit to struggling a little bit with these. While you're building one section on top of the other they all have to face the same way and for some reason I couldn't get them to sit right. Eventually I got them sorted though and it was satisfying to place them on top of the base. One of the great things about these big lego projects is they last a while. The Hubby and I were about 3 days in at this point, we took an hour or so per day to build sections of the Taj Mahal. For now you put this large connected base and towers to one side (if you can find somewhere big enough). Building the big dome for the middle is next and it's a lot more complicated that you would expect. 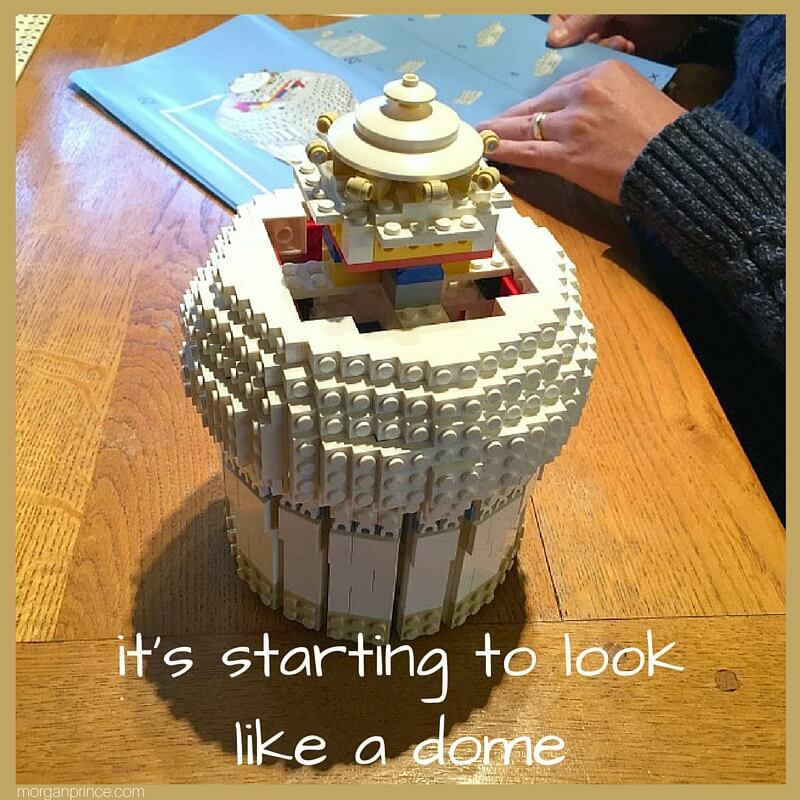 It doesn't look like this would be a dome at any point and it fits together with lots of little hinges. I love the detail and it goes together elegantly. The dome is a lot more complicated than it looks, there's lots of little pieces connected together with hinges and other special lego pieces. I totally love how it all goes together. 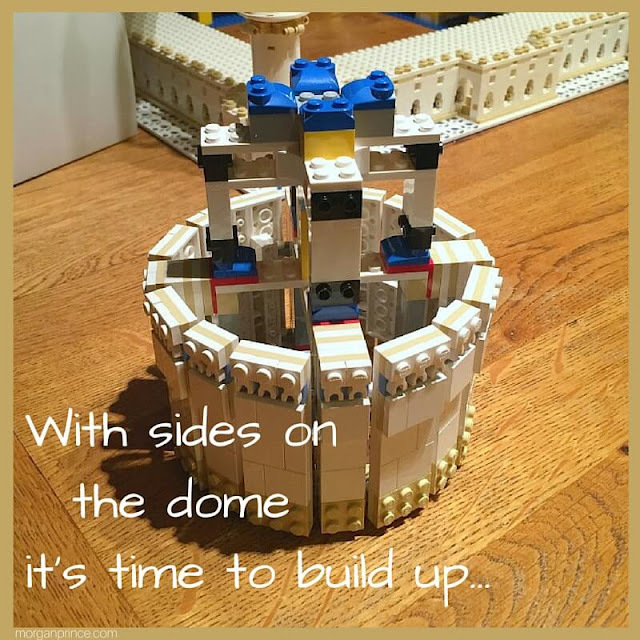 After you've put the dome to one side, with the base, you can start on the main building. 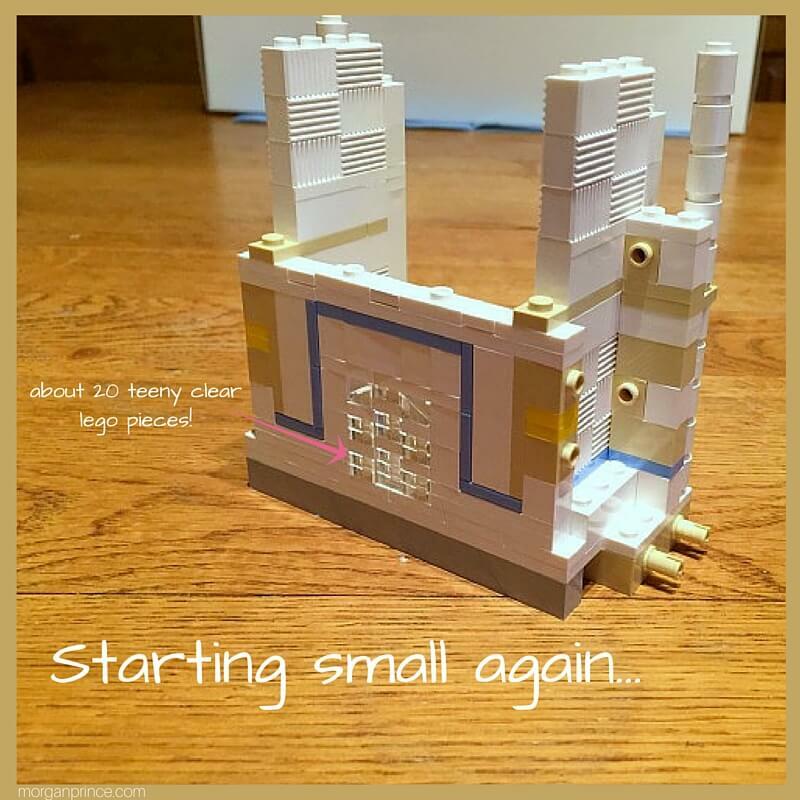 It starts out very small, and builds up, much like most lego sets. The detail in this set is beyond awesome, all the small clear pieces and how they connect together to make a decorative part absolutely amaze me every time. Even the line of blue was put together in a special way. Building up from the piece above by adding small sections you end up with the 'entrances' below. 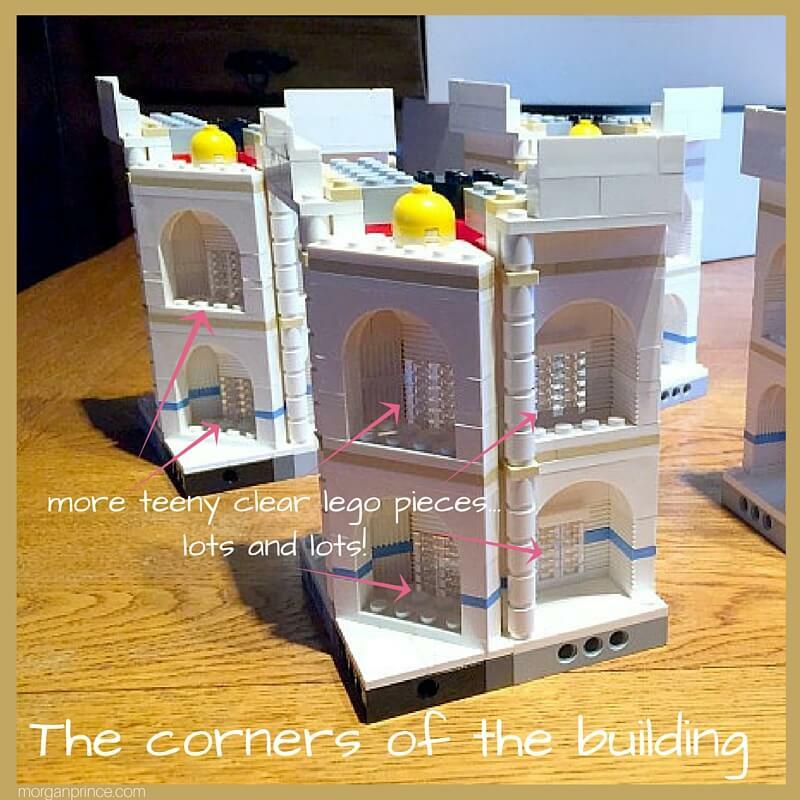 Again you have to put these pieces to one side and now you start on the corner areas of the building. They're just as complicated as the rest and take a while to put together but they do look brilliant. After building the entrances and corners you can connect them together to create the outside of the building onto which you'll be placing a roof. Next comes a grid for the roof to connect to and as you can see in the photo above you have to place special pieces in the corners too. 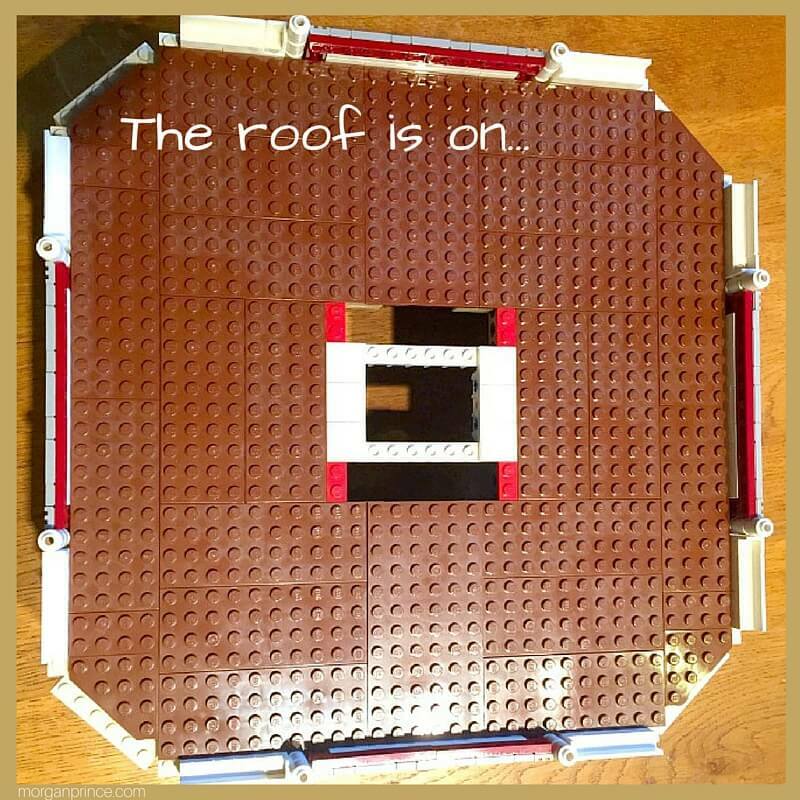 The grid is what stops the roof from falling in. 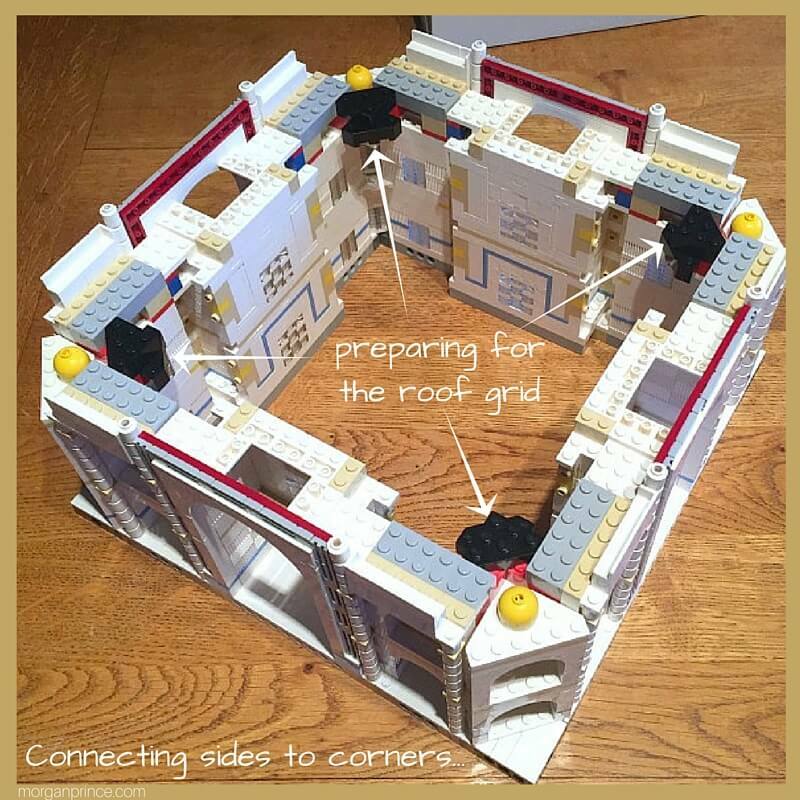 I do love the way that the grid is connected together and is sturdy enough to support the roof. The roof is made from small flat lego pieces that all connect to the grid, every single piece supported on all four sides. 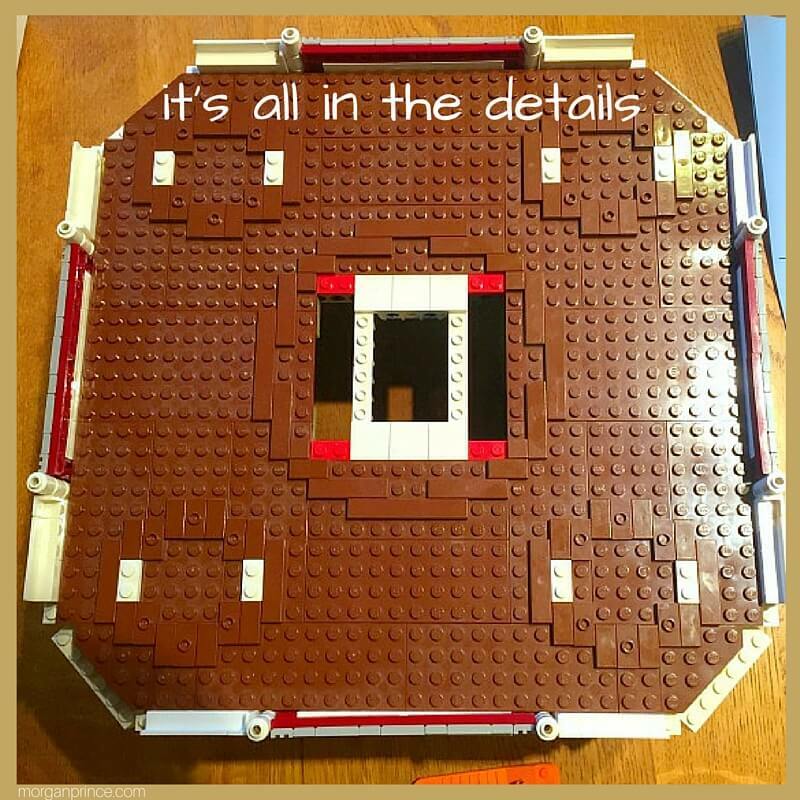 The thing I think that Lego (the company) do best in these sets is the attention to detail. Even on the roof, where most people either won't see or won't look, there's special little details that make the set brilliant. The Taj Mahal set comes together so well that at each stage I did a little squeal. 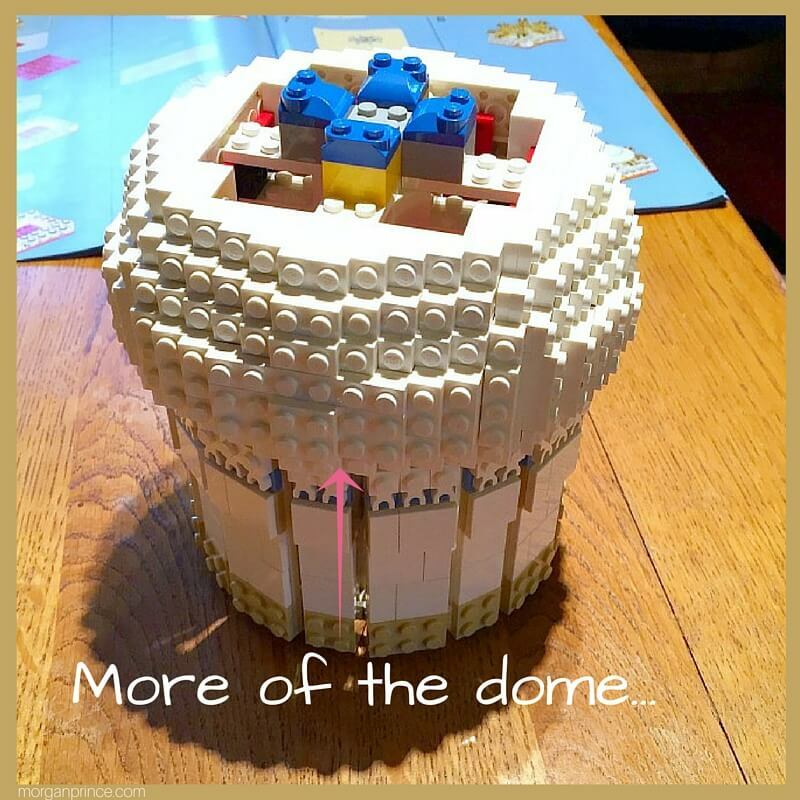 Next comes the roof decoration and the windows for the domes, not to mention other little details. 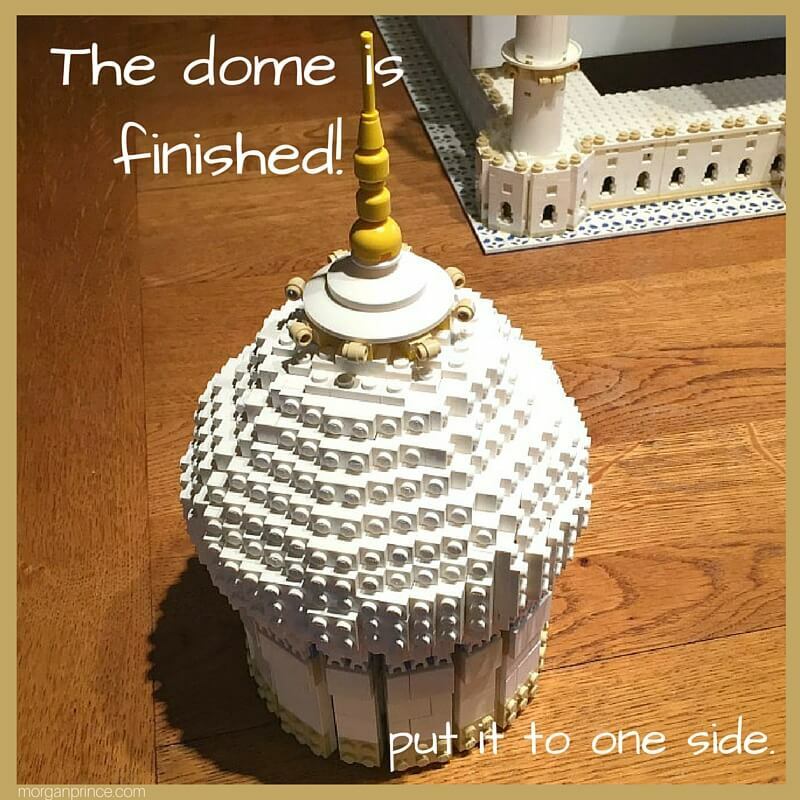 With the windows connected and the finishing touches done it's time to connect all of the domes to the roof. 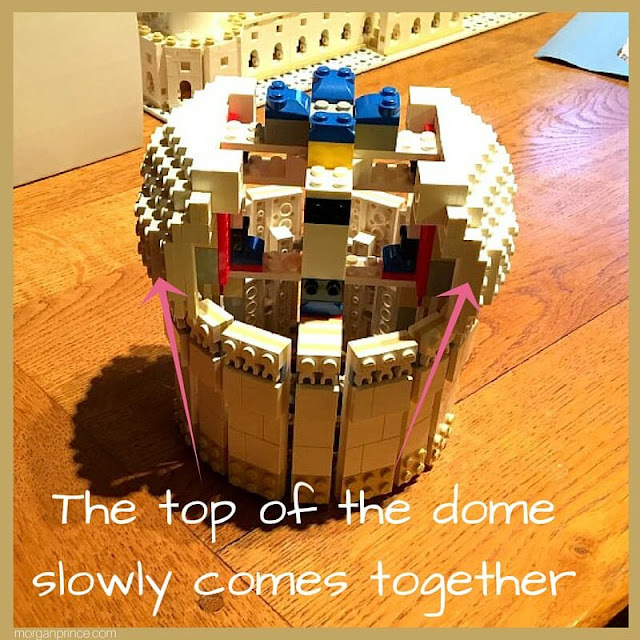 After putting the domes onto the roof you can take the building and place it onto the base. 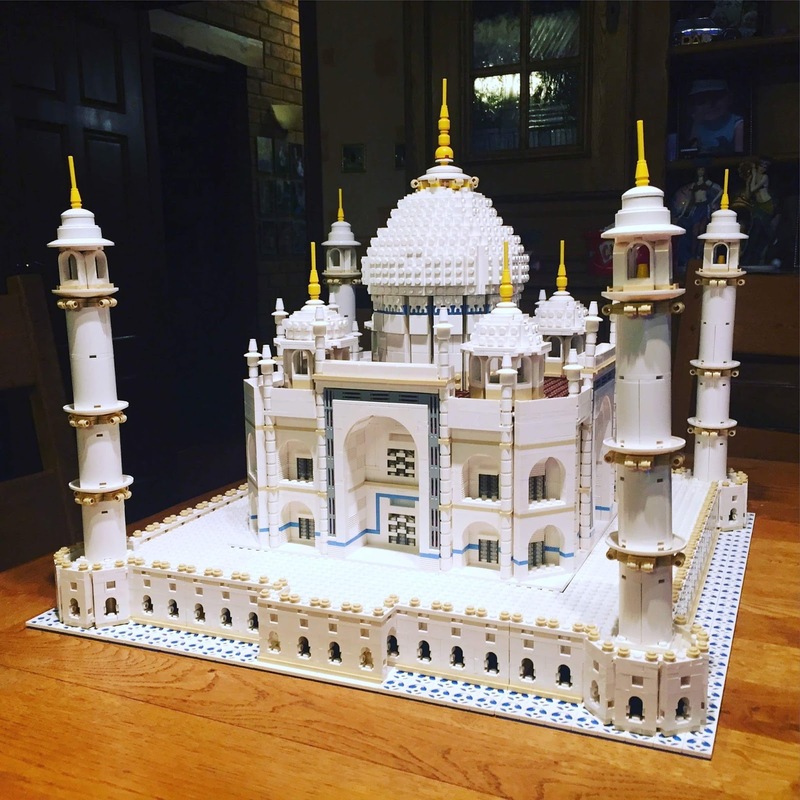 This is the most satisfying part of building the Lego Taj Mahal set. And now, after a long time, the set is finished! Below you'll find a slideshow with all the photos from this post, I hope you enjoy. I've linked up with #CreativeMondays. Wow! That's stunning. 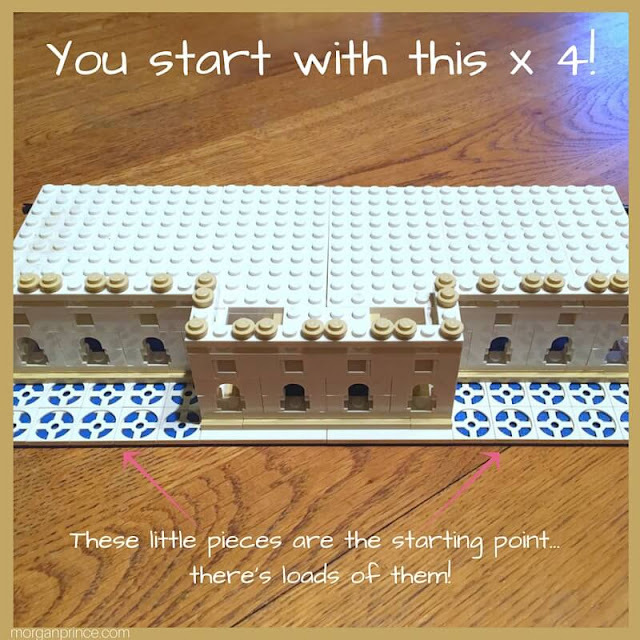 Well done for still having all the pieces too! Wow, that's an amazing set, thanks for sharing! 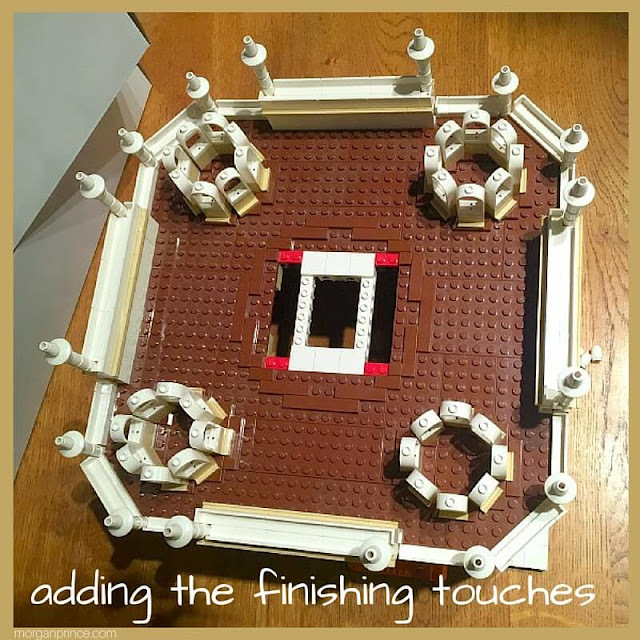 I love building Lego but I like to get on with it by myself, my husband and son have fun building large Star Wars sets together though. Ah that's good, I love all the street sets and fairground. :) BP likes the Star Wars sets. Wow, it's so intricate, and Lego's certainly moved on from my youth with all the newer types of pieces they now have. 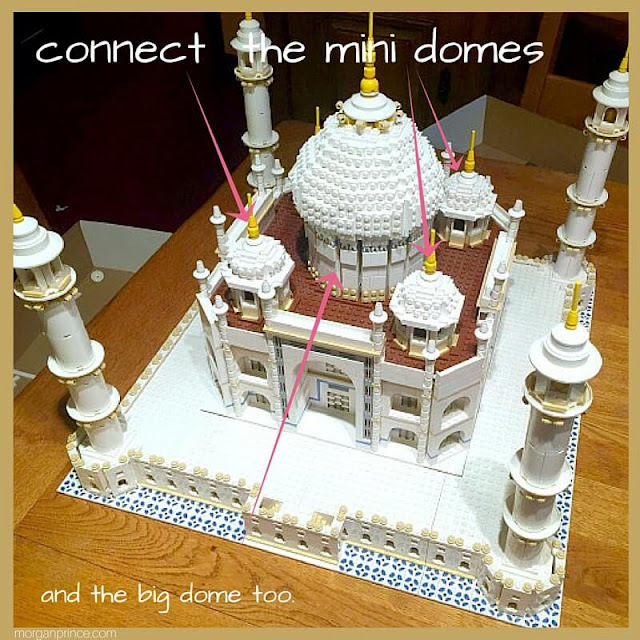 I love building lego, but annoyingly, N always mixes up his sets, so we'll never be able to find them and make them again in future without going through thousands of pieces. 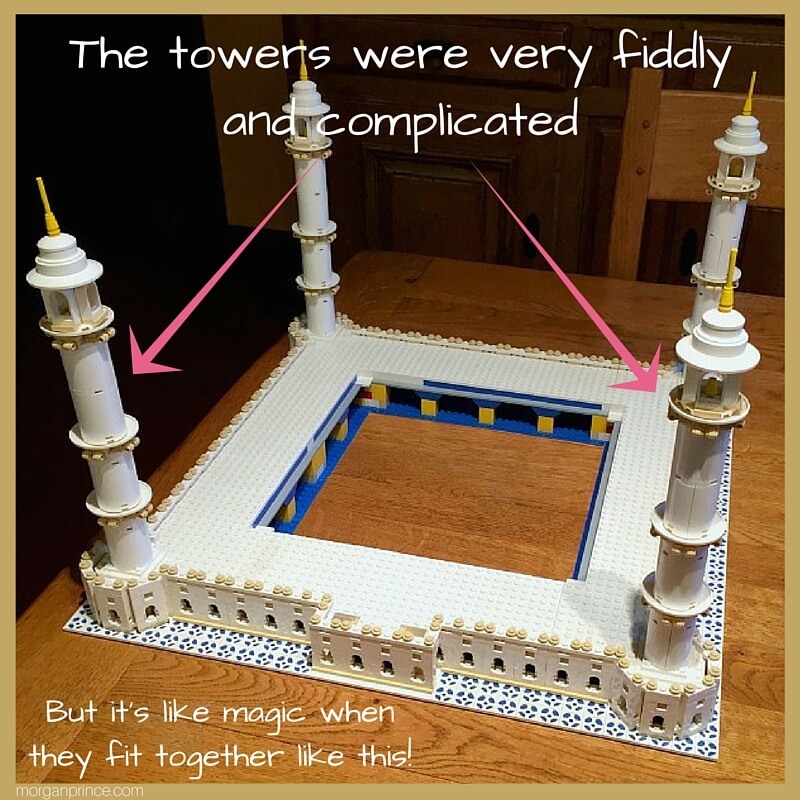 Thanks Maddy, Lego is surprisingly great for family building isn't it? Oh wow! A friend of mine had this kit, and I always wondered how it would turn out. Hehe, well now you see! ;) It really does look great doesn't it? Oh my word that's absolutely amazing! I wouldn't like it's chances of surviving near my two baby beasts but that certainly is something to showcase! Wow that's awesome! That takes a lot of patience I bet! We love lego here too, although my 5 year old puts me to shame with what he can build.